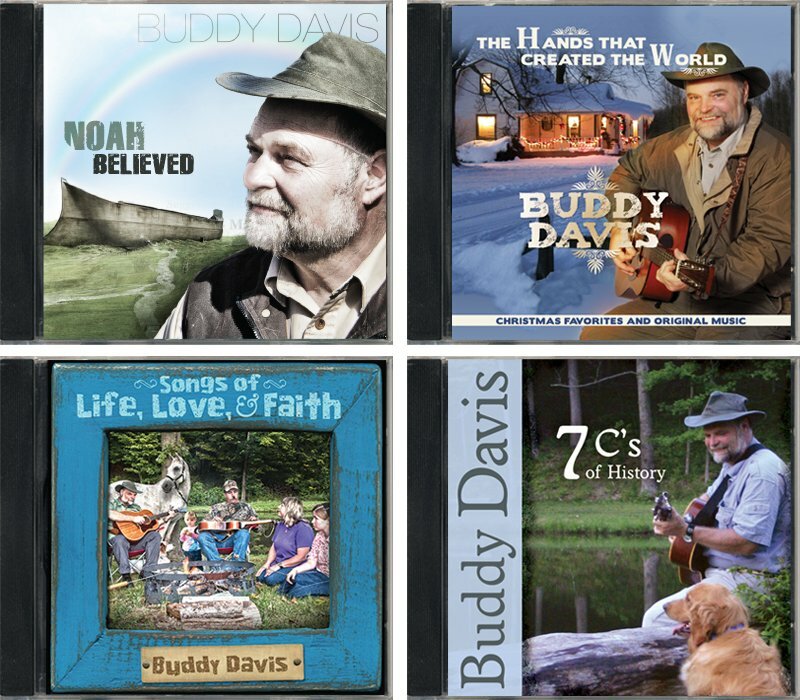 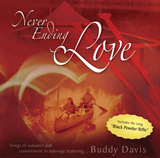 This collection of four new and classic CDs features Buddy Davis, including his latest album "Songs of Life, Love, and Faith" with a song that has climbed to the "Top Ten" of the inspirational charts! 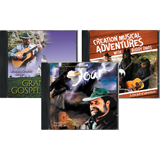 Hours of music the whole family can enjoy! 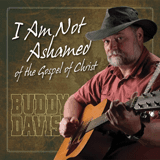 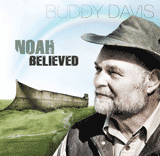 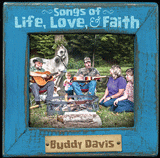 The latest collection from Buddy Davis, featuring songs about life, love, and faith that the whole family can enjoy! 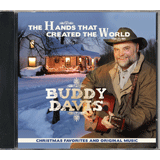 Filled with 11 Christmas favorites, including “O Little Town of Bethlehem,” “The First Noel” and “The Little Drummer Boy,” plus two original songs, including the title song “The Hands That Created the World.” A seasonal favorite for the family! 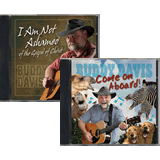 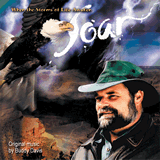 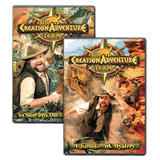 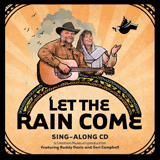 Recorded in Buddy’s traditional folk style, this CD has something for everyone: story songs, teaching songs and songs that celebrate God’s original creation. 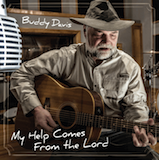 All ages will love this album! 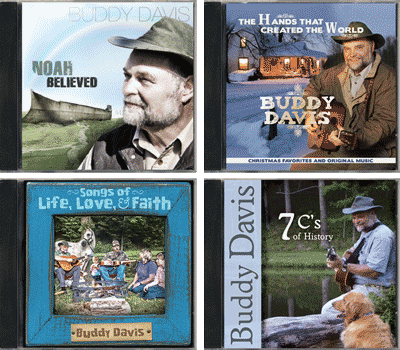 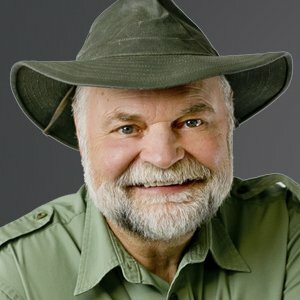 Buddy Davis is a popular speaker, singer, songwriter, author, adventurer, and paleo-artist with Answers in Genesis. 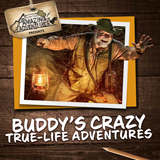 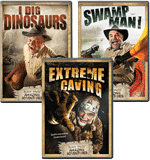 Buddy has sculpted over 60 dinosaur models, many of which are featured at the Creation Museum. 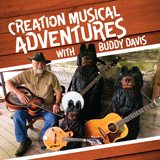 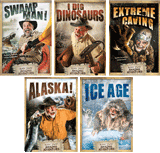 He has recorded over a dozen CDs and frequently performs concerts at the Creation Museum.